Improving customer contact with beautifully crafted emails can pay back in increased feedback, as this feedback newsletter proves. 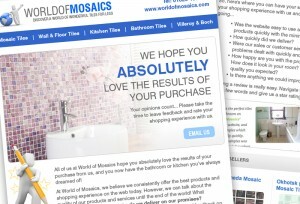 Fully integrated with the website design, fully automated within the back office area, this email is sent out automatically after sales to ensure satisfaction. 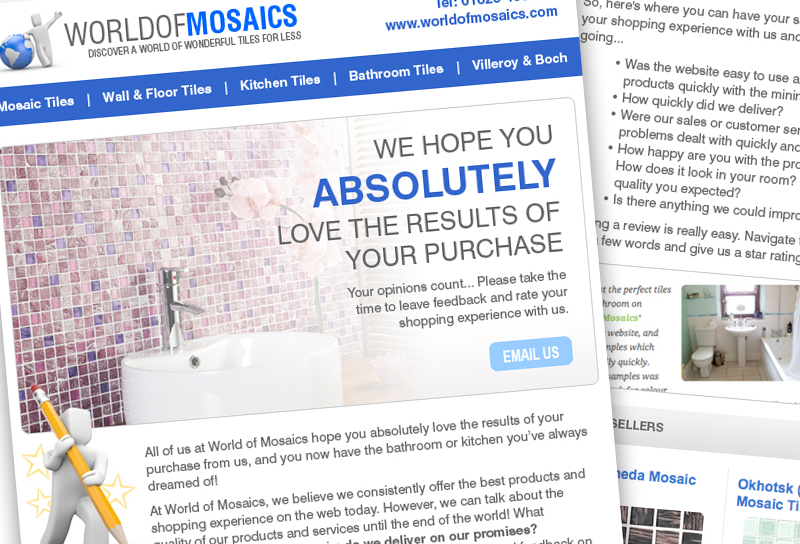 Not only is this an improvement in aftersales but the email includes links to encourage feedback and customer participation in the form of Real Rooms – a page on the blog dedicated to allowing customers to talk about their DIY. Finally our designers took full advantage to cross sell – promoting other popular products! This design has definitely delivered on its promises to encourage feedback, which has been used by our client to improve their customer care and other services.